It took me long enough to go on my first hike! 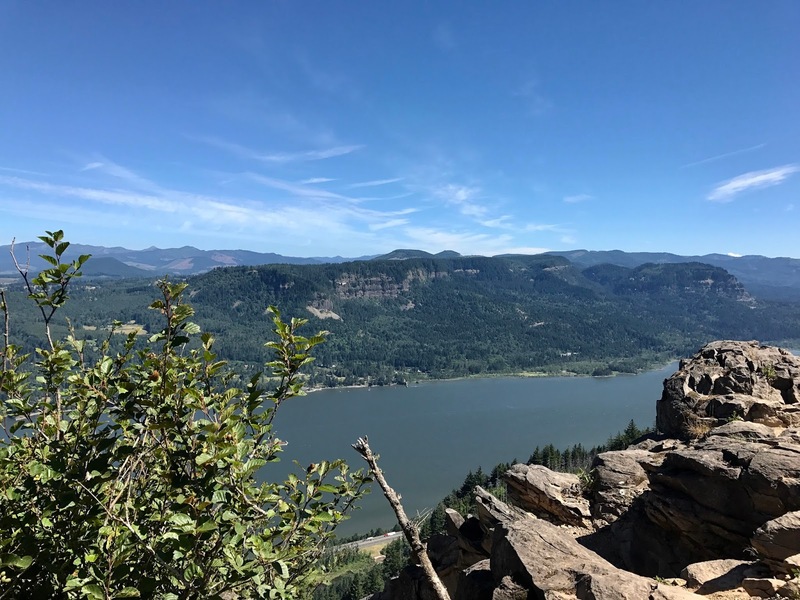 A group of four of us took on Angels Rest, a 4.8 Mile hike that puts you on a Bluff off the Columbia Gorge. 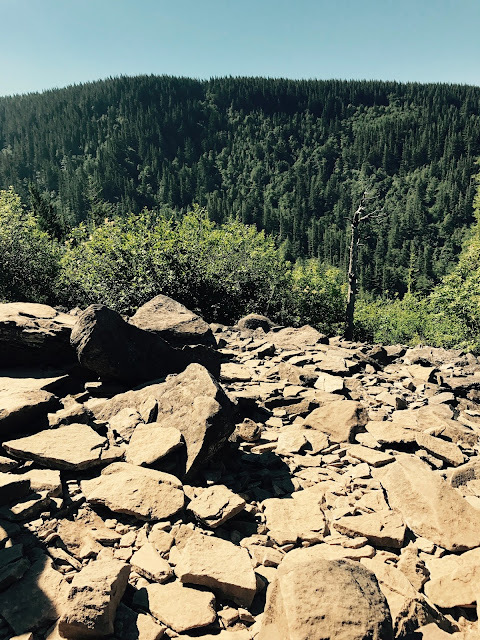 Its pretty rocky, but the 270 degree view is hard to beat. As a novice hiker, its a pretty safe hike, this one was characterized as moderate. It is pretty steep which is easy on the way up but I was not happy on the way down. Long story short, I need hiking shoes, my toes were killing me! 1. Do your research - You don't want to get lost or do something outside of your level of endurance or expertise. If you are afraid of heights... its probably good to see which hikes have dropoffs. 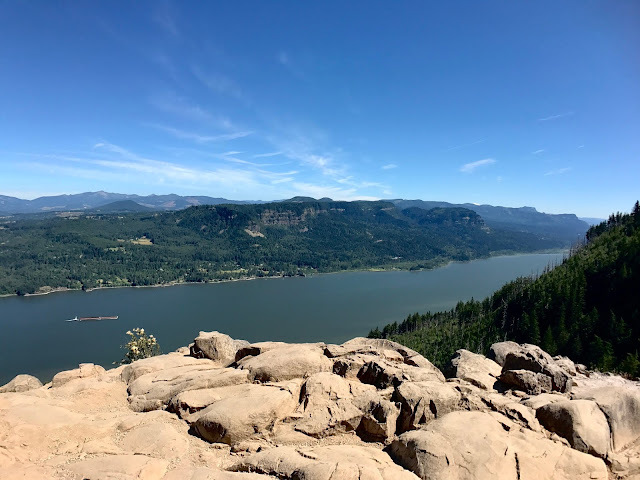 You can figure out how long you are in for, if you don't hike... starting off with something over 5 miles with a big change in elevation might be a little rough. 2. Go with a group- This also helps with the whole getting lost thing, PLUS its just more fun with people! 3. Drink Water - Altitude sickness is not a joke. I also recommend sipping your water. 4. Bring Sun Protection- This can be anything from sunscreen, hats, sunglasses or UVA/UVB clothing. I don't leave the house without a sunscreen regardless, but it is important to protect yourself while you are in direct sun. 5. Let Someone Know when you are going and when you will be back- This is more of a peace of mind thing. I know most people hike common easy trails and go up and out, but many times it gets dark, people take a wrong turn... and it just ends bad. Let someone know where you are and when you should be back just as an extra safety blanket! My apple watch fitness goal was definitely reached today. The views here were pretty nice and many people took this hike with their dogs, including one of the girls I went with. I think my dog would not have wanted to complete this hike at all. Toshi lays down when he's tired and I have dragged him on short walks before. This was also in Houston so, I could be wrong. The weather for this hike started at around 60 and by the time we reached the top around 11am it was 75. There was a really nice cool breeze also with no humidity. I would do it again, with better shoes!